Summer time is a time for moving and home renovations. Whether it’s a new house or an old one, painting the walls really stamps it as your own. But deciding what color to go with or how that perfect shade of magenta will really look once it’s applied is anyone’s guess. 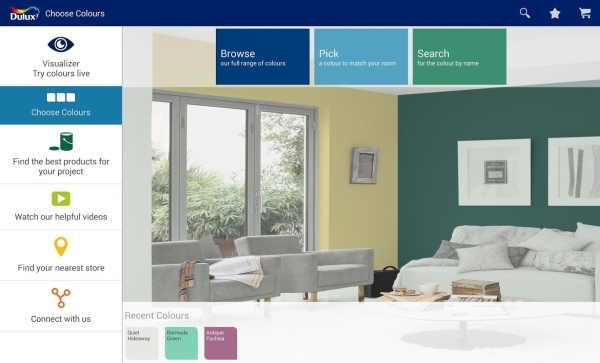 With the Dulux Visualizer app, you won’t have to guess anymore thanks to some very clever augmented reality tech. The wonderful thing about the Dulux app is that it doesn’t just show a variety of colors like some sort digital color swatch. Instead it actually puts the color on the wall in the room you’re viewing. Hold up your phone to the wall and you’ll see you color as if it was already painted on the wall. How cool is that? 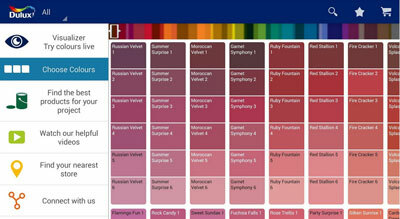 You will able to scroll through drastically different colors and even compare color combinations live on the screen. You can save combinations you like and share them with roommates or partners later. It is brand specific for Dulux paints, however it makes purchasing a snap. Dulux Visualizer is free and available for both Android devices and iOS, (although it unfortunately won’t work with every device).